CAPE TOWN, SOUTH AFRICA. Professor Bruce Hewitson, head of the Climate Systems Analysis Group at the University of Cape Town (UCT) talks about the latest science developments at Fossil Free SA and 350Africa’s Carbon Risk, Divestment And Ethical Investment Workshop at the World Wildlife Fund (WWF) offices in Newlands, Cape Town, South Africa on 10 May 2017. Picture: Jennifer Bruce/350Africa In South Africa, climate/energy policy is intensely contested, with the government’s support for big coal and stalling on renewable energy development contradicting its commitments on climate change. The Carbon Risk, Divestment And Ethical Investment Workshop was held to discuss the implications for South African investors, fund owners and managers and to ask how SA funds can fully address the moral, financial and fiduciary risks of high carbon exposure. CAPE TOWN, SOUTH AFRICA. 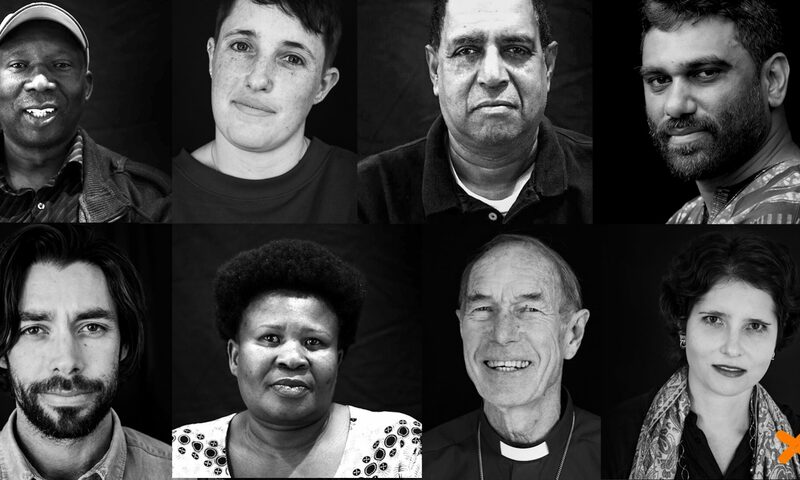 Fossil Free SA with 350Africa hosts a Carbon Risk, Divestment And Ethical Investment Workshop with the World Wildlife Fund (WWF) in Newlands, Cape Town, South Africa on 10 May 2017. Picture: Jennifer Bruce/350Africa In South Africa, climate/energy policy is intensely contested, with the government’s support for big coal and stalling on renewable energy development contradicting its commitments on climate change. The Carbon Risk, Divestment And Ethical Investment Workshop was held to discuss the implications for South African investors, fund owners and managers and to ask how SA funds can fully address the moral, financial and fiduciary risks of high carbon exposure. CAPE TOWN, SOUTH AFRICA. David le Page of Fossil Free South Africa (L) and Rev Rachel Mash from the Anglican Church of Southern Africa (C) at the Fossil Free SA and 350Africa Carbon Risk, Divestment And Ethical Investment Workshop at the World Wildlife Fund (WWF) offices in Newlands, Cape Town, South Africa on 10 May 2017. Picture: Jennifer Bruce/350Africa In South Africa, climate/energy policy is intensely contested, with the government’s support for big coal and stalling on renewable energy development contradicting its commitments on climate change. The Carbon Risk, Divestment And Ethical Investment Workshop was held to discuss the implications for South African investors, fund owners and managers and to ask how SA funds can fully address the moral, financial and fiduciary risks of high carbon exposure. 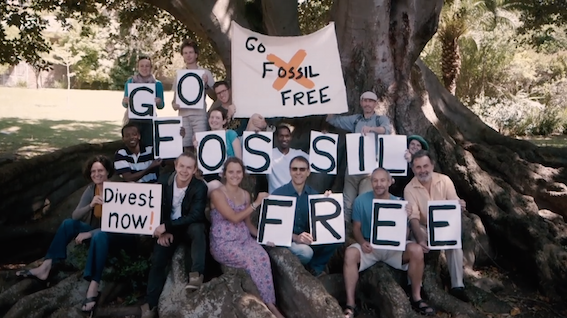 On 10 May 2017, Fossil Free South Africa convened a workshop for financial services professionals in Cape Town on fossil fuel divestment. The aim of the workshop was to build awareness of climate and carbon risk – and the divest-reinvest movement – amongst financial services professionals, and to catalyse the creation of divested funds and instruments. Judging by broad responses, we succeeded in the first objective, but the second objective – creating new funds – will take a great deal more work, though hopefully the necessary conversations have started. (The background reading for this workshop appears here.) Some video excerpts appear here. Bruce Hewitson, head of the Climate Systems Analysis Group at the University of Cape Town, addressed recent developments in understanding the threat of climate change. Tracey Davies, of the Centre for Environmental Rights, spoke (video) on the implications of the recent South Gauteng High Court finding that the Minister of the Environment should have considered the climate change impacts of the proposed Thabametsi Power Station before deciding whether to authorise it. Paul Chandler, of the UN-supported Principles for Responsible Investment, spoke on the proposals of the G20-appointed Task Force on Climate-related Financial Disclosures (pdf). There was a feeling that improved information is needed, so that investors and asset managers can see what we’re invested in. Malcolm Gray, our event facilitator, and attendee Lise Pretorius of GCX Africa, are about to launch Flourish – a collaborative online platform for getting more info about your investments. S&P is potentially willing to create low-carbon benchmarks for SA, if there is sufficient interest to warrant it, though ideas about what constitute clean investments, of course, vary. Participants felt that part of the value of divestment is sending a signal (small signal in a big system) to policymakers (about the need to address climate change and reduce carbon intensity). An obstacle to reinvestment in South Africa at the moment is the uncertainty around energy policy and renewable energy investment. It was felt that the investment sector should play more of a leadership role in the IRP 2016 (electricity resource) planning process, to end the current political logjam and ensure that new low-carbon investment opportunities are unlocked. ASISA should be speaking out about this. Conversely, if these opportunities are not created, progressive funds will be stuck for green investments. Again, it was raised that asset managers face the problem of balancing portfolios, and there not yet enough alternative energy opportunities, making divestment more likely a long-term view. Perhaps in response to the ethical dimension of the divestment argument, the group responded that investment managers need “completely rational” arguments for divestment. Another big obstacle to divestment is the lack of broad public understanding of climate and carbon risk, so that there is as yet little retail demand for decarbonised investment products. It was noted that so far in South Africa, the responsible investment discussion has been led around governance and social issues; environmental issues are poorly understood and not priced for. Banks, in particular, need to be held more accountable, as frequent lenders to big coal. Their practice is not in fact aligned with their stated values. Engagement needs to be enhanced and can be done on the debt side as well as the equity side. Lastly, echoing the concern of the Bank of England governor, Mark Carney, who has described climate change as a “tragedy of the horizon”, the group noted the necessity of a mindset change around investing for the short-term. Again, the lack of underlying renewable assets and logjammed IRP process was noted. If the government firmly mandates more renewables, this will lead to lots of (re)investment opportunities. Again, the issue of retail interest was raised: an upswell in demand from the market would stimulate confidence in developing progressive (low-carbon) investment solutions. With regard to other ESG issues receiving high-profile attention, Equal Educations’ successful canvassing of Allan Gray in respect of its investments in the controversial company Cash Paymaster Services (CPS) was noted. Pooled petitions to asset managers from staff collectives, as a means of inspiring change, were suggested, as was the possible shaming of asset managers for holding particularly carbon intensive portfolios, using CDP’s ranking of asset owners. There is an integrated eco-system of consumers, asset managers, asset owners, adviser etc. If S&P do launch a South African low-carbon benchmark, would this be based on carbon efficiency or fossil fuel-free? Might it incorporate other ethical issues as well (such as tobacco, alcohol, weapons, etc)? And what would be the demand for products based on such an index? Both consumers and asset managers need to be educated on these issues. It was noted that fossil fuel companies can score high on many ESG ratings – there are different definitions of truly responsible ESG. The liability of trustees of pension schemes for the long-term wellbeing of their beneficiaries was noted. There is little point in pension funds attempting to secure the long-term financial wellbeing of their members if they do so in part by undermining the biophysical safety of the future world in which retirement should be enjoyed. Old Mutual has an engagement strategy, and reports on its efforts to engage companies on a range of ESG measures, including climate change. Some argued that we need to change some of the mandates for pension schemes (regulatory change); while others argued that current regulations do in fact mandate greater trustee responsibility around climate risk, but are in most instances ignored. Is there potential for a test case by a pension fund member against trustees for failing to keep up with the evolving meaning of fiduciary duty? This group noted that most people save with a future objective in mind: the “pot of gold”. People don’t always want you to “mess” with that pot, but (in the context of climate change and an energy transition) it’s now unlikely future pots will be stable. Asset managers often argue that they respond to client instructions. If you want to change those instructions, that demands policy changes, such as trustee boards adjusting mandates. Policy changes will be tested, and must be credibly tested, so that policy adjustments will continue to meet the goals they are designed for. Leadership can be positive or negative. We now need a well-articulated framework for leadership on climate and carbon risk within a reasonable return framework. It was noted, with some fervor, that an end to fossil fuels means we need a just transition to protect people who may lose jobs in the fossil fuel industry. It was also pointed out that the South African Wind Energy Association (SAWEA) has been engaging with unions, such as NUM and NUMSA, to start discussions around a just transition. 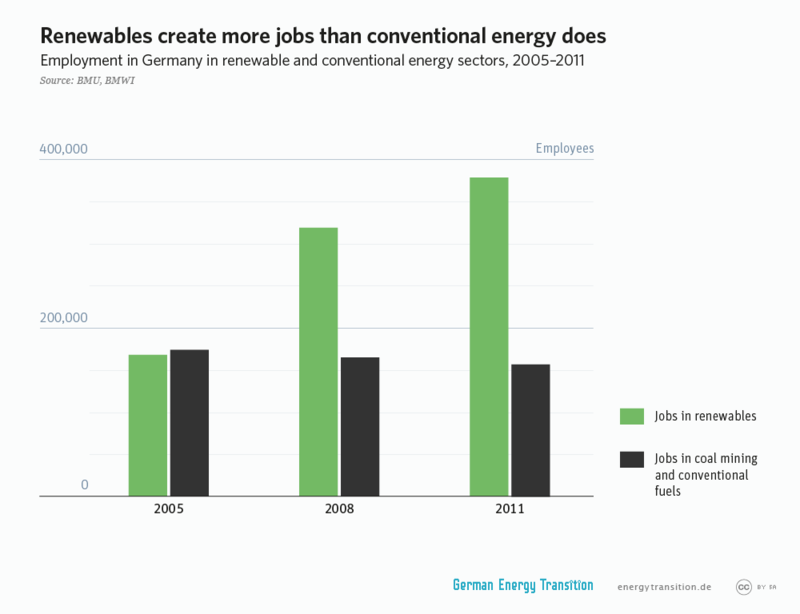 There’s unlikely to be a big bang effect from the renewables revolution in the coal industry, though (there hasn’t been one in Germany, for example). Even if divestment picks up, we won’t see 50,000 coal miners fired tomorrow. Also, there are huge positive impacts from going green – from reducing oil imports and improving balance of payments which will help jobs. But there’s also considerable risk of an ugly transition if we don’t plan ahead in good time, possibility of rapid catastrophic job less. In general, it was felt that we need to ask trustees and asset consultants about their ESG mandates more often. It was noted that engaged divestment can be another option on the road to full divestment. We also need to better connect non-equity investment opportunities with funds with something of a social mandate. In this respect, unlisted infrastructure may be a growing opportunity, though it also raises new ESG issues. Pension funds need to understand that it’s a breach of fiduciary duty to give you reasonable returns, but no stable climate in which to enjoy those returns. It was argued that regulation 28’s ESG provisions are legally enforceable. But in practice, trustees don’t apply their minds to these provisions. So what about the prospect of suing trustees for not looking at these issues? Do we need a prosecuted case or claim around regulation 28? Can we need to find a test case? Is it legally possible for this to happen in South Africa? Ending on a high note, a workshop participant noted his recent experience of a visit to Pofadder in the Northern Cape, once a desolate and neglected “dorp” – but now, as a hotspot for the growing Concentrated Solar Power (CSP) industry in South Africa, a boom town where the second language is Spanish (! ), showing the power of South Africa’s extraordinary renewable energy resources to foster economic development in remote and previously neglected regions. The workshop was co-funded by 350Africa and Futuregrowth Asset Management. Our partners were the Centre for Environmental Rights, ET Index Research (London), and the UN-supported Principles for Responsible Investment (UN PRI). Attendees included representatives from Aeon Investment Management, African Clean Energy Developments, African Infrastructure Investment Managers, Allan Gray Asset Management, Asymmetry Asset Management, Avior Research, Deutsche Bank, Futuregrowth Asset Management, GCX Africa, Kagiso Asset Management, Kudos Africa, Momentum Asset Management, Nedbank, Old Mutual Investment Management, Sanlam Investment Management, Sukha & Associates, S&P Global, the UN Principles for Responsible Investment, the University of Cape Town, the UCT Energy Research Centre, and WWF South Africa. You can find our outline of the basic logic of divestment here, and key investor resources here. ‘Thanks for hosting such a great event – much appreciated.’ – Shainal Sukha, Sukha and Associates. If you attended, and have not yet filled out our short feedback questionnaire, you can still do so here. Our thanks again to our partners – the Centre for Environmental Rights, UN Principles for Responsible Investment and ET Index Research – and to our sponsors, 350.org and Futuregrowth Asset Management. Thanks, too, to WWF South Africa for providing conference facilities. Thank you very much for this David!